Teesside&apos;s favorite music festival returns to the historic grounds of Gisborough Priory with 2 days of live music from the UK&apos;s best tributes. 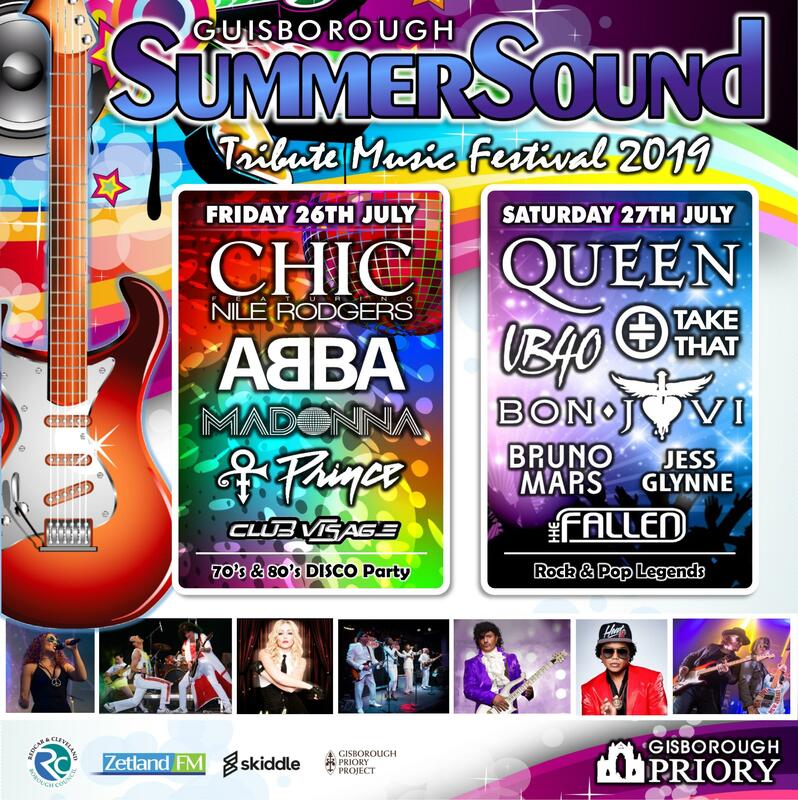 We return to the historic grounds of Gisborough Priory this summer with our BIGGEST show yet. Over 14 hours of live music from the UK's best tribute bands over 2 fantastic days. The party kicks off on Friday 26th July with a 70's and 80's Disco Party featuring tributes to CHIC and Nile Rodgers, ABBA, Madonna, Prince and hosted by Club Visage. This is going to be a fancy dress extravaganza so get your outfits prepared and get ready to boogie! Saturday 27th July is a full day of live music showcasing Rock & Pop legends with tributes to Queen, UB40, Take That, Bon Jovi, Bruno Mars and Jess Glynne with support from local band The Fallen. It'll be an amazing weekend with licensed bars, food village, festival stalls, rodeo bull, street entertainers, fireworks and much more. Ticket holders must be over 16 years of age. You are allowed to bring your own food and drink. A sensible alcohol limit will be in place at the discretion of the security. A one hand limit will be in place so please only bring what you can carry in one hand. Any excessive amounts will not be allowed into the site. Any chairs brought onto the site must be removed at the end of the night. Portable/throw away BBQ’s are not allowed. Chinese lanterns are not allowed. No glass bottles, metal cutlery or crockery are allowed into the site. Please bring plastic containers, plastic cutlery and paper plates only.